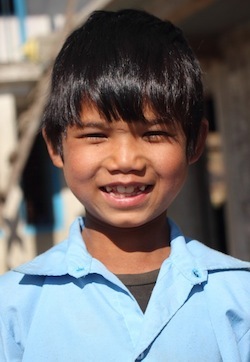 Motor, though from Gunsa, lives with his grandparents in Thangpalkot. He has been living with them since he was 3 years old. Neither of his parents are around. While his mother passed away some time ago, his father is currently serving a jail sentence. (I didn’t ask for more details.) 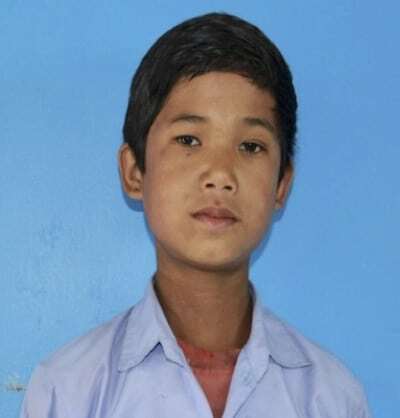 Motor is a fifth grade student at Raithane School in Thangpalkot. At the current rate of exchange of approximately Rs. 98=US$1.00, the total cost amounts to US$46/year as a 5th grader. However, he has just four more months in 5th grade. 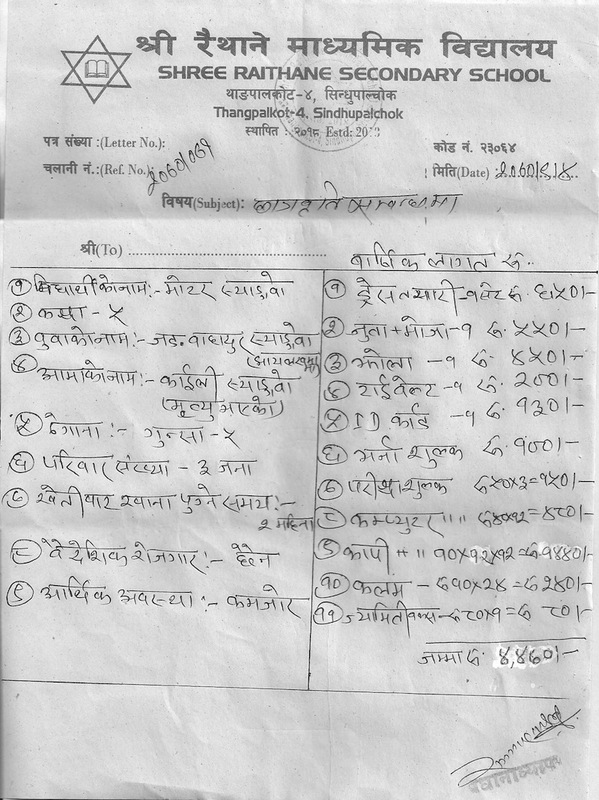 Academic year in Nepal runs from mid-April to the beginning of April the following year. That means, he’ll need support for at least the next five years. Purchases by Nemira Customers 19 – 28 has ensured that Motor gets to finish school! Motor passed his exams and has moved on to grade 6! Details of his educational costs for the 2014-15 (2071) academic year can be found here. Motor, whose name has now been changed to Prabin, passed his exams and has moved on to grade 7! Details of his educational costs for the 2015-16 (2072) academic year can be found here. It’s been almost two years since the last update and the young boy is now in grade 9. Here’s an update from the boy himself, reproduced verbatim! I am 13 years old boy. I live in Raithane. I am from indigenous group (Tamang) . I study in class-9. My mother was murdered, when I was a small boy. My father didn’t take care of me and married another woman. My father had been jailed as the suspect of my mother murder. I don’t have any contact with my father and stepmother. I have been living with my relatives (grandfather and grandmother). My grandfather is 55 years old man. He works as a mason. They are taking care of my studies. I love singing, dancing and playing football. I aspire to become an actor. I have been getting scholarship since grade 2. I have obtained 409 (51.13%) marks in grade -8 final examination. I am very happy and thankful to committed Nepal, for providing me full scholarship. I want to complete my Bachelor level studies. Also I expect to get the help of Committed Nepal in coming days.